• Topic : Details of Imam Al-Khoei Hajj Group For Itinerary Year 2017 - 1438 Hijri . NY/Beirut/Madinah ON AUG. 21,2017 APPROX. Jeddah/Beirut/NY ON SEP. 7,2017 APPROX. 1. Three nights stay in Madinah at a Five Star Saudi Hotel. 2. 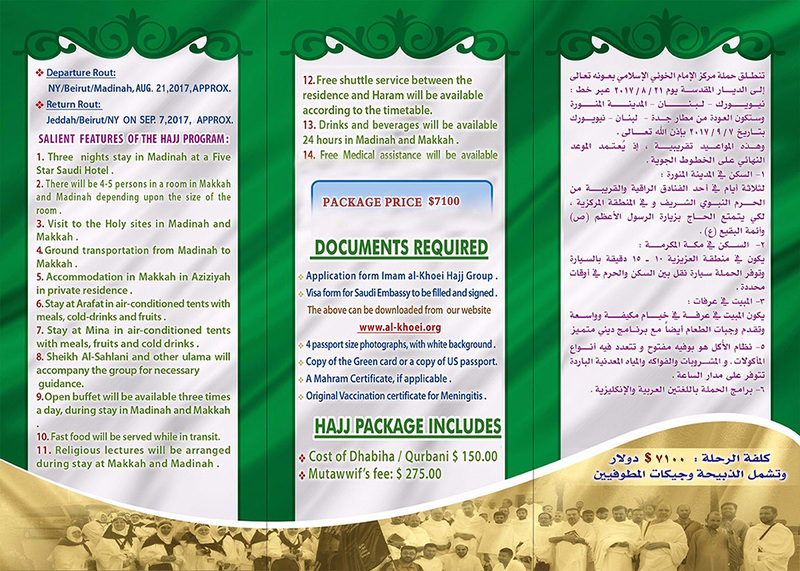 There will be 4-5 persons in a room in Makkah and Madinah depending upon the size of the room. 3. Visit to the Holy sites in Madinah and Makkah. 4. Ground transportation from Madinah to Makkah. 5. Accommodation in Makkah in Aziziyah in private residence. 6. Stay at Arafat in air-conditioned tents with meals, cold-drinks and fruits. 7. Stay at Mina in air-conditioned tents with meals, fruits and cold drinks. 8. 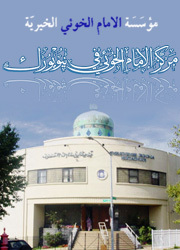 Sheikh Al-Sahlani and other ulama will accompany the group for necessary guidance. 9. Open buffet will be available three times a day, during stay in Madinah and Makkah. 10. Fast food will be served while in transit. 11. 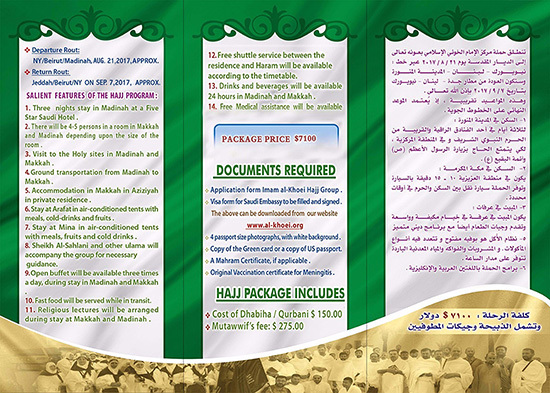 Religious lectureswill be arranged during stay at Makkah and Madinah. 12. Free shuttke service between the residence and Haram will be available according to the timetable. 13. Drinks and beverages will be available 24 hours in Madinah and Makkah. 14.Free Medical assistance will be available. - Visa Form for Saudi Embassy to be filled and signed. - 4 passport size photographs, with white background. - Copy of the Green card or a copy of US passport. 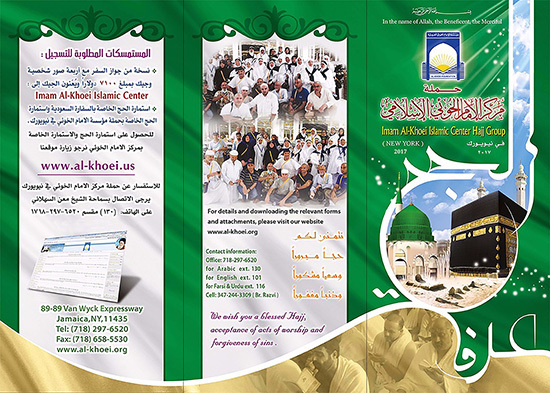 - A Mahram certificate, if applicable. - Original Vaccination certificate for Meningitis.